Fantasy Flight Games is offering a new edition of its Lovecraft Mythos mystery game Mansions of Madness, starting on August 4. In the game, players assume the role of investigators exploring a modular map, trying to uncover a secret plot and put a stop to it before it can threaten all of humanity. Unlike the original version, Mansions of Madness Second Edition uses a downloadable app (for use on iOS, Android, Mac, or Windows), to guide the action and control the enemies, eliminating the need for a Keeper player and transforming the game from an overlord-style to a fully cooperative one. 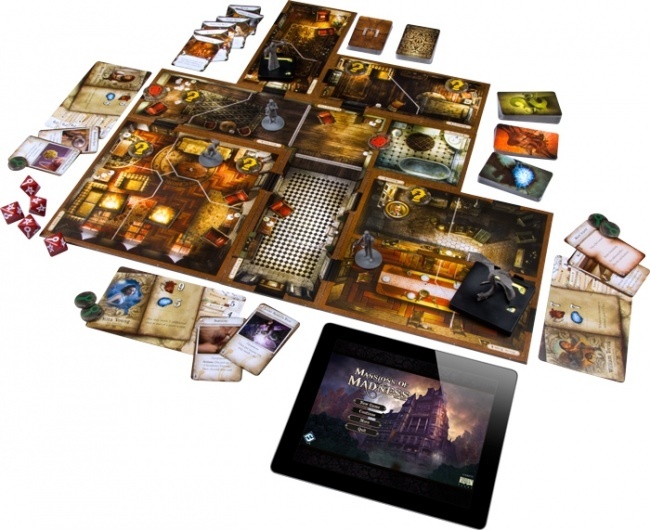 The introduction of the app also allows players to approach Mansions of Madness as a solitaire game, and allows the creation of completely random scenarios and maps, offering unlimited replayability. Mansions of Madness Second Edition, however, will not be playable without the app. The new edition will include a built-in conversion kit for those who already own the first edition, allowing them to use the characters, monsters, and map tiles from the original. 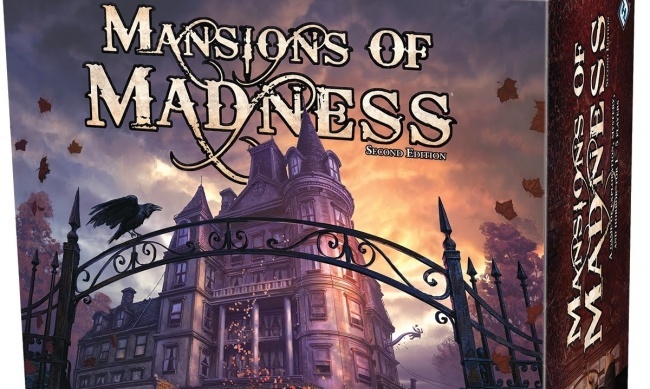 Mansions of Madness Second Edition is for 1 to 5 players, ages 14 and up, and takes 2 to 3 hours to play. MSRP is $99.95. 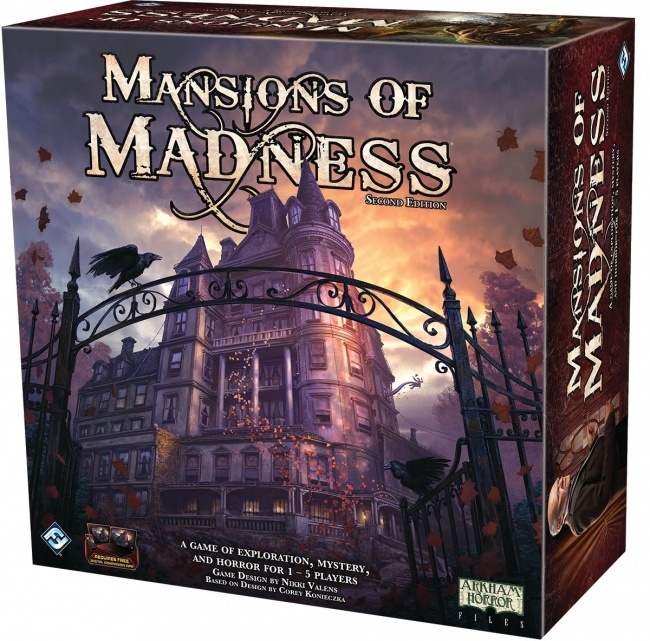 The first edition of Mansions of Madness was released in late 2010 (see “‘Mansions of Madness’”).